Are you missing most or all of your teeth? Do your traditional dentures slip out of place while eating or talking? Dr. Cheryl L. Cushman places implant-supported dentures to help patients regain full dental function with superior stability, comfort, and bone preservation. At Atlanta West Periodontics & Dental Implants in Lithia Springs, GA, we use the latest technology to precisely plan your treatment and ensure that your prosthetic is tailored to your smile. Because dental implants act as artificial tooth roots, they stimulate the surrounding tissue in the same way that natural roots can. Consequently, implants can not only prevent natural jawbone deterioration, but also encourage new growth. By anchoring dentures with implants, we can ideally rebuild your jaws and fill in sunken cheeks. While traditional dentures sit directly on top of the gums, implant-supported options are anchored into the jawbone itself. Because they are attached directly to the jaw, implant-supported dentures are less likely to slip during meals or conversation than traditional dentures. Patients can eat, laugh, and talk with confidence and in comfort. As an added bonus, patients can expand their diet to include more varied and nutritious food. Unlike traditional dentures, which can wear down the gums over time, implant-retained options do not rest on your gums at all. As a result, patients can prevent deterioration and protect their oral health for the long-term. Every denture is crafted of quality materials that mimic the look and feel of real teeth. During your initial consultation, Dr. Cushman takes careful and thorough impressions of your smile with the Kodak Cone Beam 3-D System. This allows us to design your treatment as accurately as possible and create a prosthetic tailored to you. With proper care and biannual dentist visits, patients can enjoy their new smile for a long time. The exact timeline of your treatment will depend on your individual case. The process can take anywhere from four months to a full year. Dr. Cushman typically performs any bone grafts, sinus lifts, or ridge augmentations before placing implants, although in some cases she may be able to combine the two procedures. If she cannot, she usually recommends spacing out the surgeries at least several months. Implant-supported dentures can provide you with the stability and comfort of your natural smile. Once your jaws have fully healed, you can return to the office to receive your permanent restoration. Created from precise impressions of your smile, the denture is crafted using the most durable and lifelike materials available. After affixing the dentures to the implants, Dr. Cushman will check to ensure that the bite and fit are as comfortable as possible. Implant-supported dentures can provide you with the stability and comfort of your natural smile. 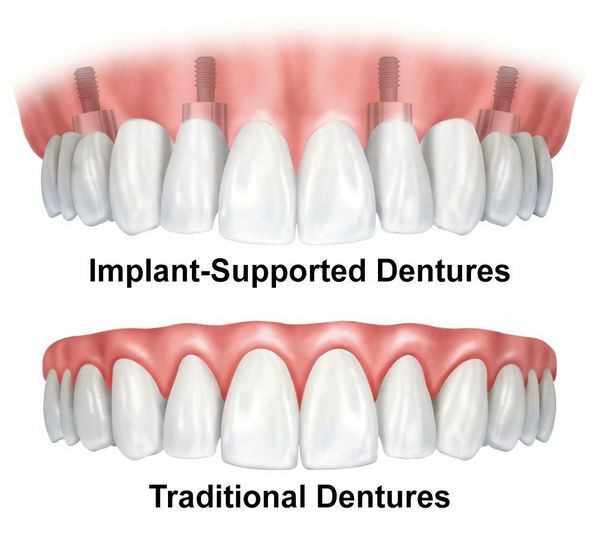 If you want to learn more about how you can experience the life-altering benefits of implant-supported dentures, call us at (770) 739 5097 or contact us online to schedule a consultation.